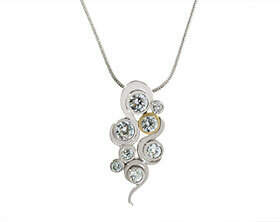 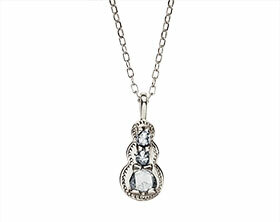 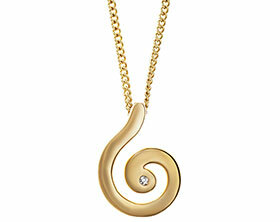 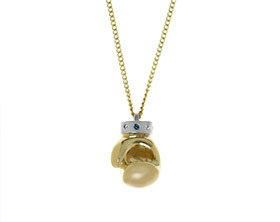 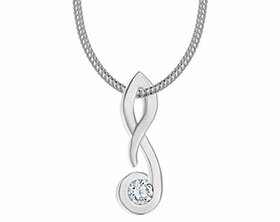 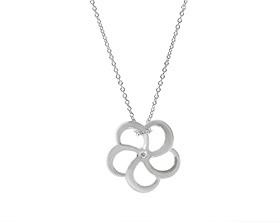 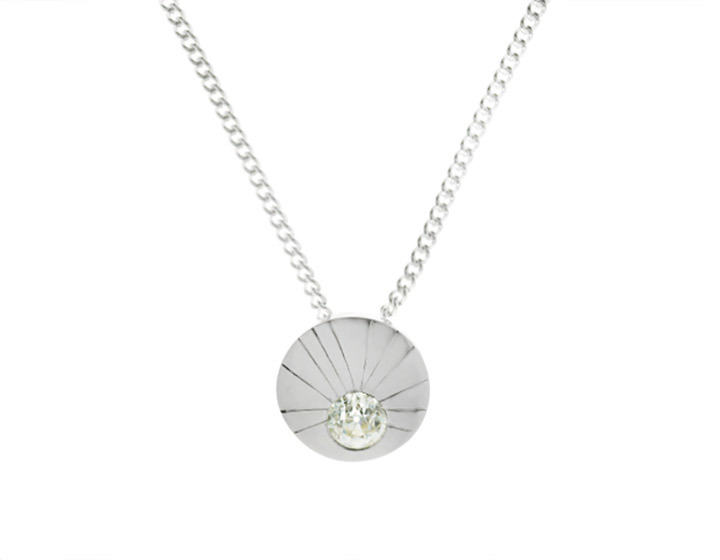 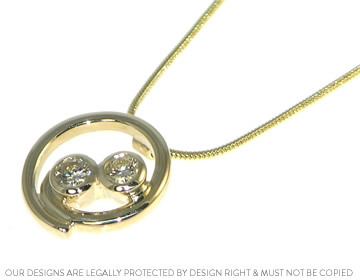 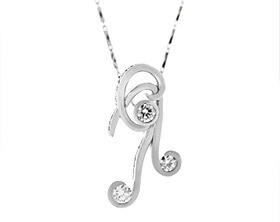 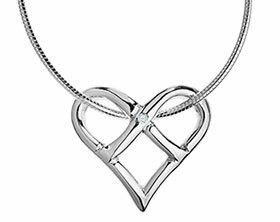 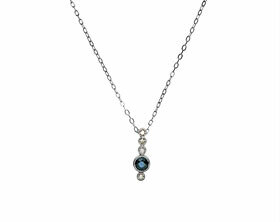 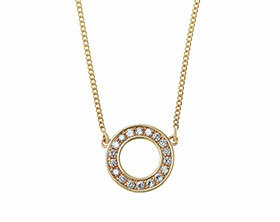 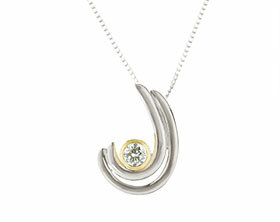 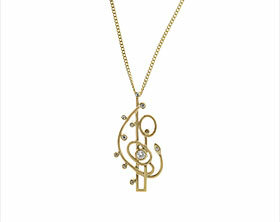 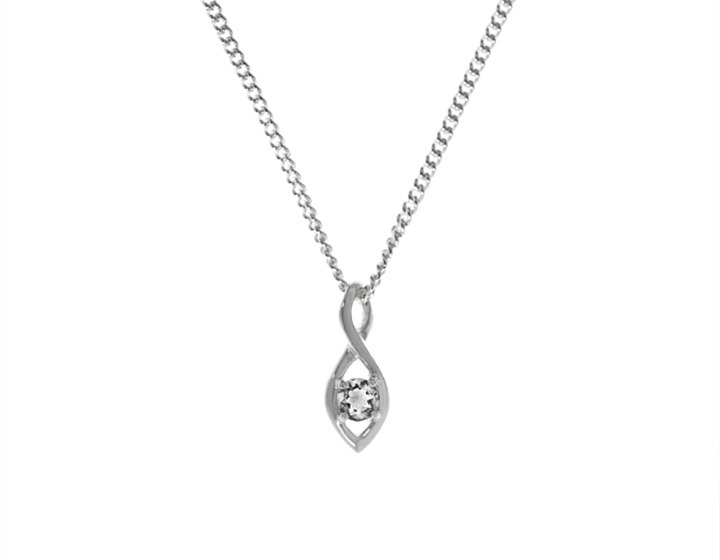 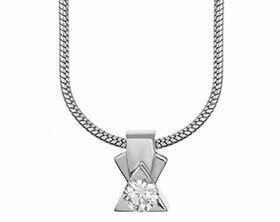 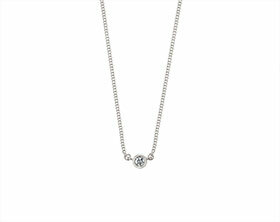 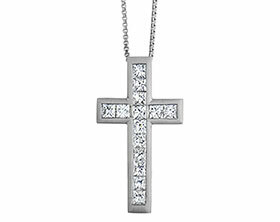 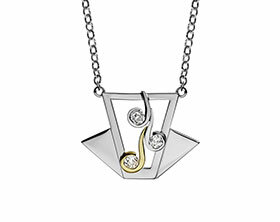 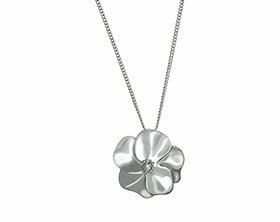 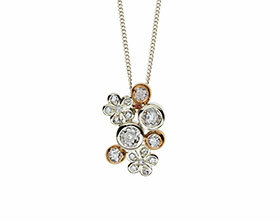 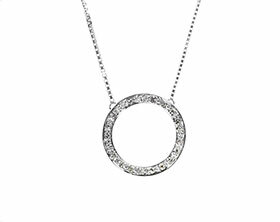 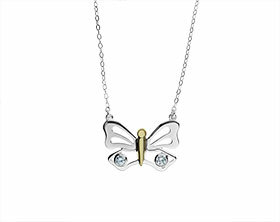 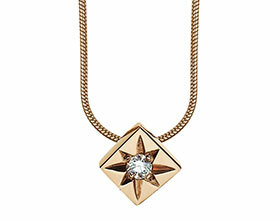 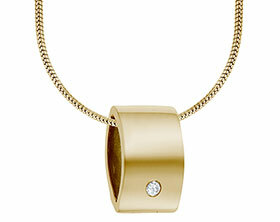 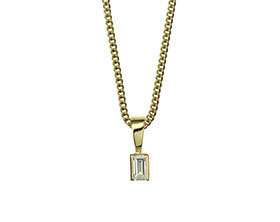 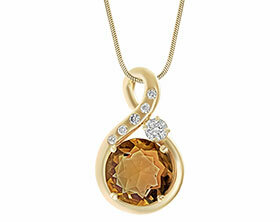 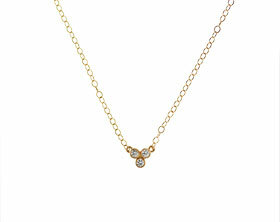 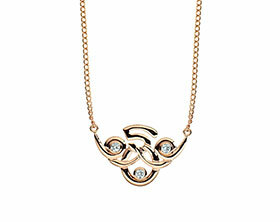 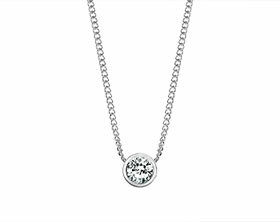 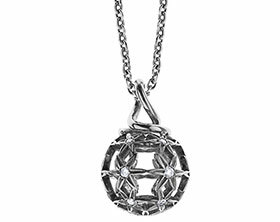 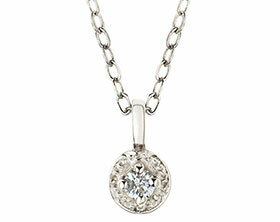 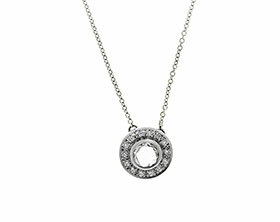 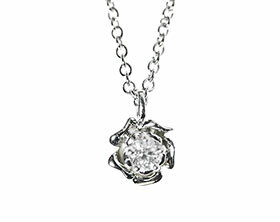 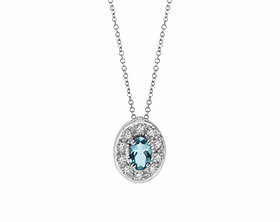 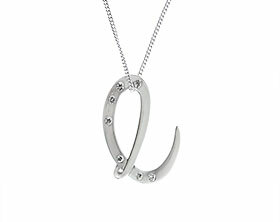 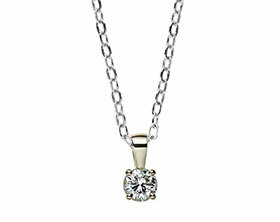 Carole was inspired by our bespoke pendant for Lisa Snowdon but wished to have a similar design using her own diamonds. 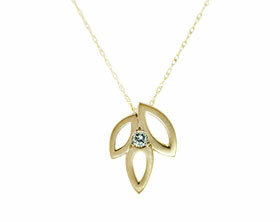 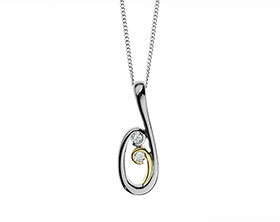 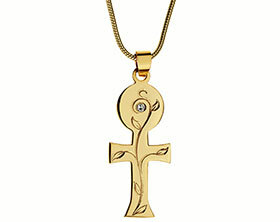 This 9ct yellow gold pendant has two of her own ~4mm brilliant cut diamonds all around set. The pendant hangs on an 18 inch baby snake chain. 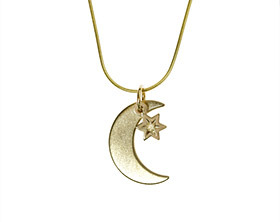 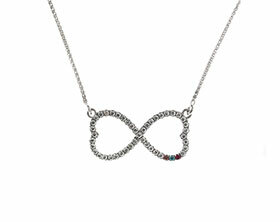 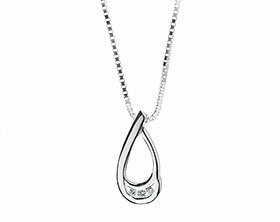 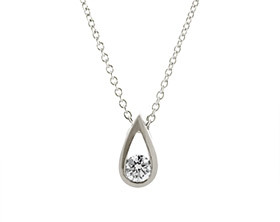 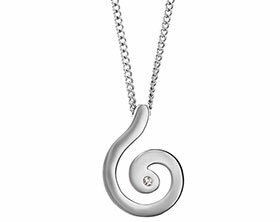 The pendant has a D-shaped profile and a polished finish.